Two great events in one convenient (and fun) location. 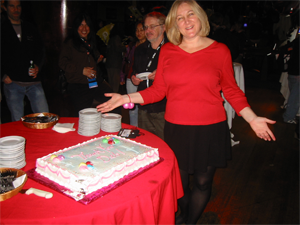 In 2004 I created a brand new type of Macworld Expo part -- a real party where all attendees were welcome and you didn't need to waste critical expo time hunting down a secret invitation or pay to attend. From 2004-2007 I called it the Party For The People. In 2007 I joined forces with MacCast's Adam Chrisitanson and we called our new party Mac Mingle. First, Adam brings you the Mac Podcaster Meetup, then the party begins!